BulbAmerica.com is now offering their customers with high efficiency light bulbs that are both powerful as well as economical. This represents a potential opportunity to bolster the number of manufacturing jobs in efficient lighting. A new report suggests that high-efficiency light bulbs are now providing a boost to Ohio’s manufacturing economy and helping Ohioans save money on energy. The data presented in the report has been collected from various sources for an accurate representation of the total savings tied to these light bulbs and the number of workers employed. According to Natural Resources Defense Council, a nonprofit group based in New York, the state has around fifteen hundred workers who produce these high efficiency light bulbs. Statistics indicate that on an average, Ohioans who used these light bulbs saved $366 million on their electricity bills annually, which translates into around $78 per household. This recent development has made Ohio one of the world’s leading centers of lighting innovation and it has accomplished all this quietly and without too much attention from policymakers. The Brooklyn based company BulbAmerica, a leading wholesale retailer of quality lighting fixtures and light bulbs in the United States hopes to replicate this situation. They are playing an active role by offering customers light bulbs which use the latest and the most advanced production technology when compared to traditional incandescent bulbs. A lighting expert at BulbAmerica.com explains, “We hope to do our bit in popularizing these high efficiency light bulbs as a part of our motto to offer our customers with the most energy efficient light bulbs and other products that help them save money.” With Republican state legislators engaged in ongoing heated debates about changing the laws on energy efficiency and high-efficiency light bulbs face a public backlash, this report issued by The Natural Resources group has created quite a furore. Since 2009, the Ohio based AEP (American Electric Power) that serves most of central Ohio has sold 8.8 million of these bulbs at a discount. With this figure, customers can potentially save 377 million kilowatt-hours that can power over 30,000 houses for a year; an incredible development that would have been impossible using standard light bulbs. BulbAmerica is the largest wholesale provider of quality lighting fixtures and light bulbs in the United States. They have been a part of the industry for close to ten years now. Their exhaustive inventory of quality products includes, but is not limited to fluorescent, halogen light, LED, CFL, and incandescent bulbs, projector lamps, and various LED lighting options. 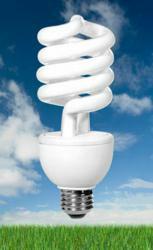 For more information about these high efficiency light bulbs visit http://www.bulbamerica.com or call 1-877-650-0775.